ever been a salesman before?" 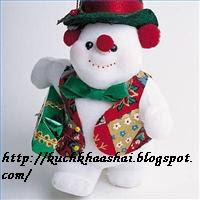 "Yes sir, I was a salesman in Rajasthan in India", replied the boy. I'll come and see you later." many sales did you make today?" just one sale. By the way, how much was the sale worth?" 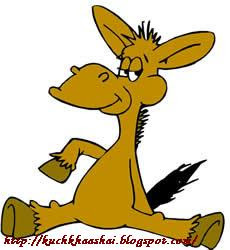 30,0534.00 pounds" said the young Marwari. "What"," How did you manage that?" asked the flabbergasted boss. that to a guy who came in for a fish hook?" anyway, you might as well go fishing!!!" 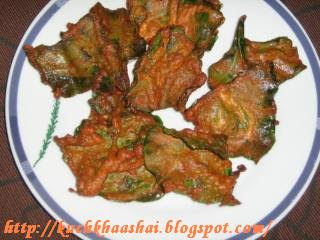 A tangy tasty snack prepared using Palak Pakoda / Spinach Fritters. 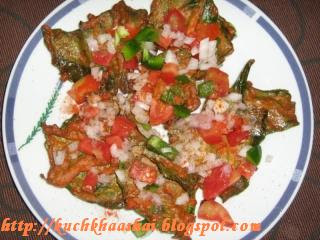 Step 1: Arrange Palak Pakoda in a plate. 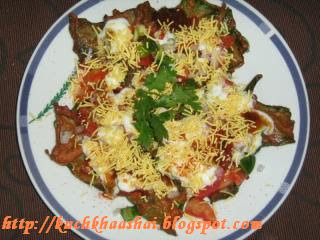 Arrange potato pieces over it or spread a spoon of Peas/Channa. Step 2: Add Onion, Tomatoes layer over it. Sprinkle Kala Namak over it. Beat Yogurt with Salt and spread it over the onion and tomatoes. 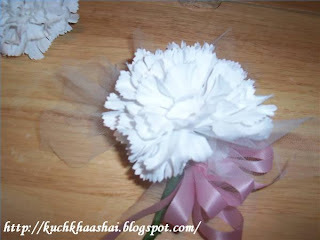 A carnation corsage is a perfect gift for the party, Mother's Day, Valentine's day, a wedding or as an anniversary piece. Silk carnations keep the corsage from drooping and turning brown as a real one can. 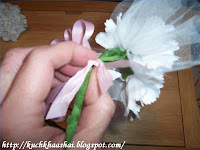 You can make a lovely silk corsage that is just as elegant as real flowers. You can easily exchange the carnations for roses, daisies or lilies. Step 1: Cut the stem on the carnation leaving a 4-inch stem. Bend the stem forward slightly. Wrap it with floral tape to conceal the stem. Step 2: Cut 2 strips from the nylon net. They should measure 5 inches by 5 inches. Fold the strips in half and cut down the fold. Pinch in the middle and push the end of one wire through the bottom of the net. Wrap it tightly with floral tape to create a puff. 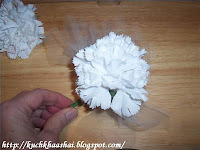 Step 3: Place four puffs against the stem of the carnation. 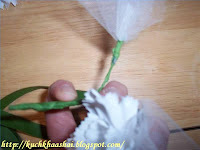 Tape to secure all four nylon puff stems to the carnation stem. 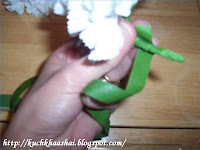 If you are using more than one flower wrap the two stems together with floral tape. Step 4:Cut a 6-inch piece of corsage ribbon. Tie a knot in the center and set it aside. Step 5:Cut a 6-inch piece of corsage ribbon. Tie a knot in the center and set it aside. 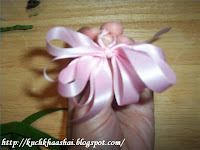 Step 6: Wrap the set aside ribbon around the corsage bow with the knot in the front of it. Tie at the back of the bow to secure it. 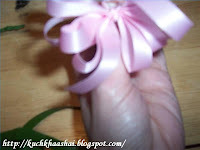 Step 7: Tie the ribbon bow to the stem of the corsage just under the flower. 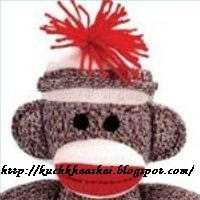 Sock monkeys have been the protagonists of books and have starred in movies. They adorn the chairs and shelves of both adult and child bedrooms. 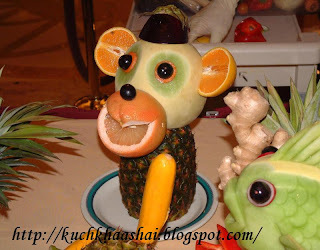 While modern sock monkeys are made of tie-dyed fabric and neon-colored socks, traditional sock monkeys are constructed of a particular type of sock that features a white heel and top edge, and a brown and white speckled leg and foot. Old school sock monkeys have a shock of red yarn at the crown of their head. Humans wishing to borrow a fashion page from the sock monkeys may construct a hat using the following instructions. Use the tape measure to determine your hat size. Measure 1 1/2 inches down from the crown of the hair. This will give the total inches necessary for the band of the sock monkey hat. Using the pattern paper (or the newsprint) draw a circle using the head measurement. Subdivide the circle into "pie pieces" of approximately 2 inches at the widest part. Cut one pattern piece, but note the number of pieces necessary to make the complete circle. Purchase the fabric (or socks) and yarn. Bring the circle piece from Step 1 with you to test the overall pattern design. Tiny brown and white patterns will blend well. Large overall patterns will not look like the traditional sock monkey hat. Test the amount of stretch to the fabric. Pull the fabric lightly with both hands. The fabric should stretch approximately 1/4 to 1/2 inch to be suitable to pull over the head. Lay out the brown/white patterned knit fabric. Place the one pattern piece on the bias (diagonal) and cut. Continue to cut the pieces until reaching the total number necessary to complete the circle, as described in Step 1. Cut a hat band (on the bias) from the white knit fabric using the head measurement. The width of the band will be up to the wearer's fashion sense. Begin with a 1 1/2-inch band and add 1/2 inch for each increase. Use a sewing machine to sew the pie piece hat knit fabric together. Use a 3/4-inch seam allowance. Once it is constructed, it should look like a beanie. Pin the hat band to the main hat piece (the beanie), easing the hat to be sure that any gathering is evenly distributed throughout the band. Sew this piece using the machine and a 3/4-inch seam allowance. Turn the hat band under and hand sew the border on the inside of the hat for a finished look. Do not use the sewing machine for this, because the seam will show on the exterior of the hat. Construct the top tassel from the red yarn. Cut 20 3-inch pieces of red yarn. Bunch the yarn together and, using two pieces of red yarn, and tie the group in the center. Knot the center yarn. Attach the tassel to the hat by using the heavy-duty off-white button thread. Knot the thread and, from the inside of the hat, loop the needle and thread through the bottom of the tassel. Continue to pull the thread around and take the needle through the hat, into the interior. Continue 10 to 12 times until the tassel is securely attached to the hat. There should not be any room between the tassel and the hat. She walks up to you and says, "You are very rich. I want to marry you"
What is the secret to being really happy? It's simple really, just choose to be happy. Happiness is your right and you can be happy all the time if you want. The more you choose to be happy the happier you will be. The more often you choose to be happy the happier you will be. The bigger the happiness you choose the happier you will be. How can you be happier? Just chose to be happier, more often and in bigger amounts. Unhappy people are only unhappy because the chose to be unhappy. They link unhappiness to many things in their life. You chose to be happy, link happiness to many things in your life. The bus is late? The unhappy person sees this as a source of unhappiness. Not you. The powerfully positive person, the happy person, like you, chooses to make the bus being late a source of happiness. You've longer to enjoy people watching the others in the queue, or listening to your favourite tracks on your phone, or reading the book you are enjoying. You're going to arrive late? The unhappy person sees this as a source of unhappiness. Not you. The powerfully positive person, the happy person, like you, chooses being late as a source of happiness. Your boss gets to realise that you are normally a punctual person, as being late is unusual for you. You show your boss you're a conscientious worker by making up the time without being asked. And, by being late, you miss the early morning queue for the kettle. The utility bill arrives, and is much more than expected? The unhappy person sees this as a source of unhappiness. Not you. The powerfully positive person, the happy person, like you, chooses an unexpectedly large bill as a source of happiness. It's a chance for you to use some of your savings to pay it off, and this gives you the opportunity to reflect on just how much you've managed to save up, and just how smart you were to save. It's an opportunity for you to say "Help!" and then to figure out new ways of getting some additional income into your household, and in the process learn new skills, that you'll have forever, and meet new people. Choosing to be happy is your choice. It sounds like I'm stating the obvious, but I am often surprised at the number of people I talk to who only really grasp this when I spell it out clearly to them. They have a little eureka moment. Before such a moment, while intellectually they know their happiness is their responsibility, in practice they are acting as if it's the responsibility of everybody else. They blame the government, their family, their neighbours, or the people stuck in the queue ahead of them for their unhappiness, and not themselves. After their little moment of revelation, I can see that they now know in both their head and heart, that despite what's happening around them, it's up to them how they react to it. It's up to them to:- choose to be happy. Orchids are slow groiwng pernnial herbs and their cultivation is simple as compared to other plants since their requirements are minimum for optimum growth. It is generally believed out of experience that orchids are destroyed due to over care rather than by neglect. However cultivation of all types of orchids calls for proper care and conditions for good growth and regular yield of flowers. Climate: Most of the Orchids grow well in tropical and subtropical climate. The warm humid climate of th ecoastal area is idial for orchid cultivation. 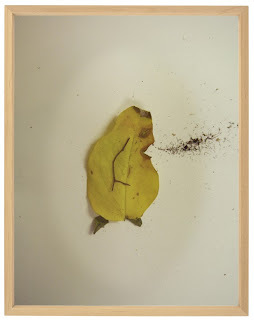 Temperature: The ideal temperature for optimum growth is between 15.5 degrees C to 26.5 degrees C. However they can be grown at a maximum temperature of 35 degrees C and a minimum of 12 degrees C. Highter temperature than 35 degrees C can cause leaf burning. Watering: Every morning in a fine spray to well soaked condition. In summer water everyday or once in two days. 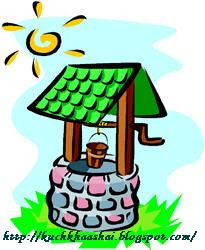 During cloudy winter months, watering may be done once or twice a week. If the potting medium is dry then watering has to be done. Ventilation: Adequate free circulation of fresh air. Propagation: Orchids can be propagated by seeds, division of clumps, cuttings and be tissue culture. Culture: Various containers and potting media can be used depending on the size and growth habit of different orchids. Orchids can be grown in ptos, pans or hanging baskets. The growing media for orchid plants are entirely different from other plants. Growing medium should be porous and well aerated for the roots to freely grow and respire easily. Fertilizer: Regular manuring has been found to improve growth and flowering. N.P.K fertilizer ration 17:17:17 or 19:19:19 supplemented with trace elements can be given. Repotting: Repotting is done when the growing medium has deteriorated and needs replacing, when the plants have outgrown the present pot and needs a bigger pot. Plants can be divided with a minimum of 3 – 4 shoots and a sprouted bud in the case of sympodials. Repotting of orchids is to be done only when it is necessary and it is best done after flowering. 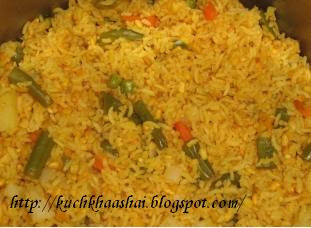 A Rice dish prepared using split Green Gram and assorted vegetables. A very healthy and complete meal. Roast Hesarubele and keep aside. Soak Rice for 30 minutes. Heat Oil in the pressure cooker, add Garlic, Chilies and Onion and saute. Add Capsicum, Beans, Carrot, Double Beans/Peas and Potato one by one. 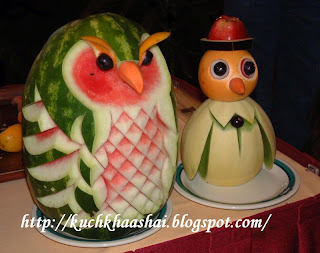 Now, add Rice and Hesarubele and mix well. Add Salt, Chili Powder, Turmeric Powder, Garam Masala and stir fry for a minute. Add 4½ cups of water and close the cooker and cook until it the cooker whistles once. Remove and serve hot with Raitha. 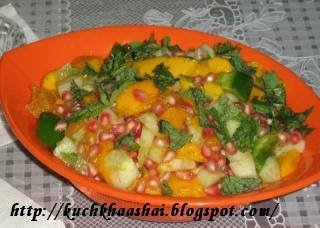 In summer, salads taste great as a meal by itself or as an accompaniment for the main course. 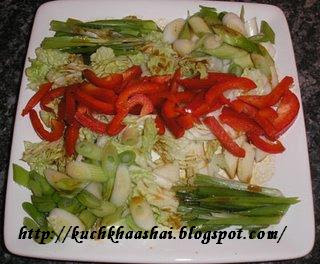 This Chinese style salad recipe was made to go with some white fish fried with 5 spice seasoning. 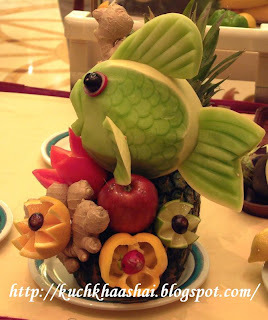 It is made from sliced red peppers, sliced Chinese leaves and Spring onions cut into rings and the green parts into sticks. Using this easy method, you can make your own rose bud paperweight. Silk rosebuds, a small jar, corn syrup, and food coloring are used to create a creative and functional piece of office décor. 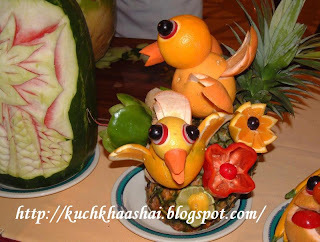 This craft project takes little time and effort, and the colors and decorations can be personalized to suit your tastes. A rose bud paperweight is a fun craft for kids, and it makes a great homemade gift. Arrange two or three silk rose buds in the bottom of a small jar in an appealing way. Use the glue gun to glue them to in place. Ensure that they are securely attached to the bottom of the jar. Pour about ¼ cup of corn syrup into the jar. Add water to the jar to fill. The liquid should come to about ¼ inch from the top of the jar. Add 1 to 2 drops of red food coloring to give the liquid a pink tint. Use a wooden spoon or craft stick to stir, combining the water, corn syrup and food coloring. Add a few pinches of glitter to the jar, and stir to combine. This step is optional but can add a little more life to your rose bud paperweight. Alternatively, you can add sequins, baby rose buds, or any other decorations you find appropriate. If you are looking for a fast and easy craft making project for the holiday's, then try making these adorable holiday ornaments made out of simple paint paddles found at your local paint store. You have a handful of flowers and no time for complicated arrangements. Never fear -- here are 11 ways to get gorgeous results in five minutes or less. Elevate a handful of single variety flowers, such as these ruffly poppies, with a proper collar of hosta leaves. --Cut the hosta stems long so you can play with the width of the collar depending on the size of the flowers. --Arrange hostas along the rim of the arrangement. 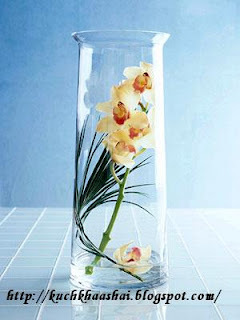 --Twist a small palm frond or banana leaf into a tall cylinder vase as a backdrop for a delicate white orchid branch. 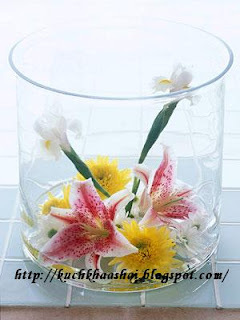 --Float a single blossom at the bottom of the vase and display. This lush and romantic bouquet might look tough to make, but it's really quite simple. 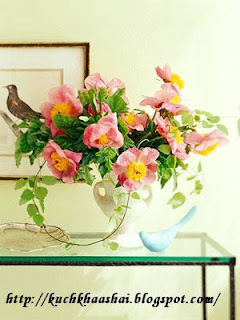 --Choose a trumpet-shape vase so the stems casually fall at graceful angles. --Start with a few geranium leaves to create a base to hold the flowers. --Cut large-scale blossoms, such as peonies or roses, at various heights -- from the vase lip up to about 4 inches taller than the vase. 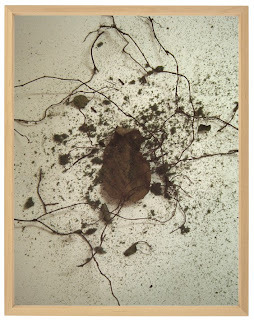 --Accent with a few wisps of trailing vine. 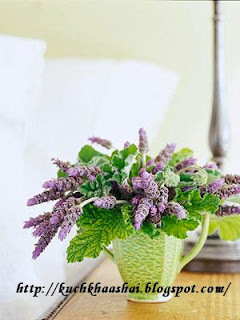 Lavender's scent is well known for its relaxing powers, making this the perfect arrangement for a bedside table or guest room. --Fill a vase with ruffled scented geranium leaves. --Slip stems of sweet-smelling lavender in between the leaves. 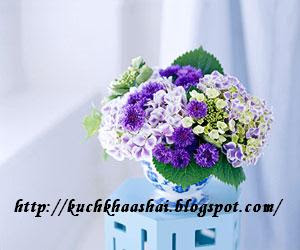 --Cut the stems of textured flowers, leaving an inch or so attached to the head of the flower. --Add an inch of water to a large cylinder vase (or a large trifle bowl from your kitchen) and build up a mound of stones in the vase. --Cover it with the flowers, nestling the stems in between the stones. With its big blossom heads, hydrangea is a flower arranger's dream -- lots of bang for the stem. They're pretty all on their own, but try these color combos, too. --Add bachelor buttons to enhance purple blooms. --Put a blush on white hydrangeas with pink spray roses. Hit the mark with this exuberant display of zinnias. 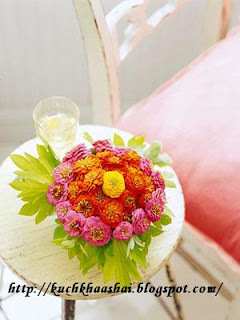 --Gather blooms of one color in your hand to form a pleasing mound; add a single contrasting color bloom to the center. --Secure with a rubber band and place in a vase. 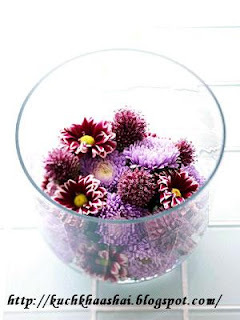 --Feed in blooms of another color to form an outer ring and fill the vase. 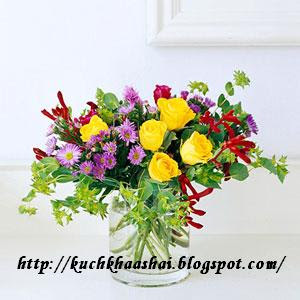 --Start with a ready-made mixed bunch of flowers and a wide cylinder vase or glass bowl. --Choose one or two stems to stand tall but not taller than the vase. 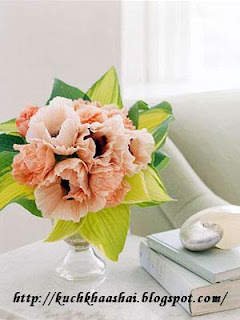 --Cut the rest of the stems short and float the blooms in a small amount of water in the bottom of the vase. There's virtually no arranging to do when you clip a few stems from the yard and place them in a collection of bottles or glasses. --To create a pleasing skyline, vary container height and stem length. 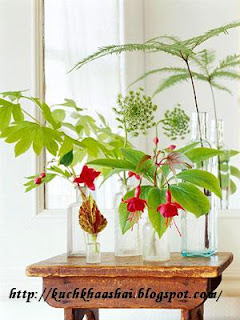 --Here, a small coleus leaf in a tiny bottle is the lowest element in the arrangement, which builds in height with fuchsia, helleborus leaf, bleeding heart foliage, Queen Anne's lace, and tall fern. Pump up the impact of a mixed bouquet purchased at the grocery store. --Cut the stems really short and arrange them in a low, medium-wide vase. --Group flowers of the same color into clusters, rather than evenly distributing all the different varieties, to create little focal points where the eye can rest. Create this high-style display almost instantly with a pretty glass and a single bloom. 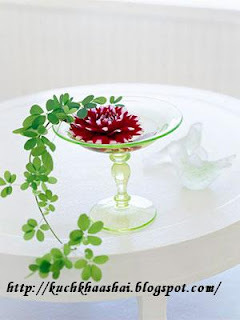 --An ice cream dish, a champagne bowl, or a martini glass all make attractive vessels for floating a showy dahlia. --A bit of fiveleaf akebia vine gives the display an organic quality. 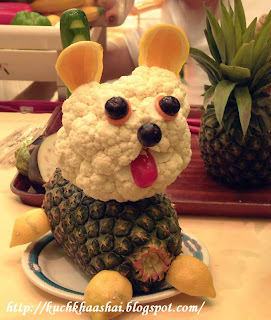 --Try any handy (nonpoisonous!) garden vine, such as wisteria or trumpet vine. 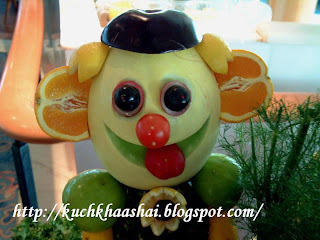 Here are some nice vegetable arts which can help ou to decorate your tables in parties. 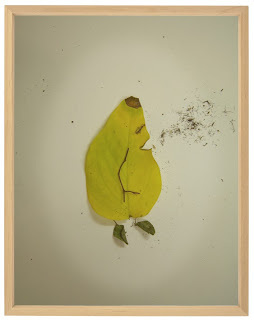 Here is an interesting artwork with leaf, that showing how much is that “good” for your health. Don’t be desperate if you wanna to quit smoking you can quit smoking today. There are literally hundreds of types of roses that you can grow in your garden. With such a selection to choose from, it can be extremely difficult to choose the rose that’s right for you. To make this task a bit easier, We’ve outlined a few important factors you should consider, and explained some of the different types of roses to aid in your search. 1. Color may seem trivial at first glance, but it’s usually an important factor to those that want to grow roses. Usually it is simply a matter of personal preference, but you may want to try creating a complimentary color palette for your rose garden. 2. The final growth height of a rose should be considered as it would be unattractive to grow roses that are higher than the area of the garden that it grows in. Some roses can grow to be as high as 20 feet. 3. If you live in an area that is prone to cold winters, you would certainly want a rose that could survive during the off season. 4. If certain fragrances invoke an allergic reaction, you’ll want to plant roses that have a softer fragrance than the others. 5. It’s smart gardening to learn what the advantages and disadvantages would be if you were to choose certain roses over others. 6. You will want to consider the size of your garden space, so that you can ensure proper exposure to the air and other elements as well. 7. 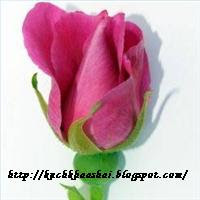 If you are hoping to make your roses into bouquets, you will want to know if they can be cut. Hybrid teas can. Some roses will fall apart at the petals if they are cut. 8. 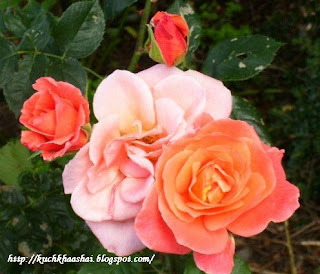 You should also consider what other types of flowers or plants you intend on adding to the rose’s environment. You want to add plants and flowers that will not create a damaging environment to your rose’s ecosystem. After you get a sense of the type of roses that you would like to plant, you’ll naturally want to know which types of roses best fit with your planting ideas. There are too many varieties of roses to list here, but this list covers some of the most popular. You should consult your nearest garden center for advice on whether your choice is fitting to your garden’s abilities. Landscape roses - Landscape roses are great for the novice gardener. They are disease resistant, and require a little bit less maintenance. Hybrid teas are not good for the novice. Climbing Roses - These roses are different from the regular roses that are planted as they are trained to grow upward like vines. Most people like to use these for trellises, or buildings. Some of them are hybrid teas, wichuraine, and large flowered climbers. They are a beautiful addition to the look of one’s house. Shrub Roses - Shrub roses like the beautiful rugosa are both long blooming, and disease resistant. These are also great for the novice planter. They are gorgeous even when they are not in bloom because the foliage is so pretty. Old Garden Roses - These roses are not very good for those with severe allergies to strong fragrances because they have a strong fragrant odor. However, they are disease resistant and continue to bloom for months at a time. The Modern Rose - These are very special roses because they are the result of cross breeding the hybrid tea with the polyanthus. They are also referred to as Floribunda. They are a beautiful combination of the best those two flowers have to offer. They are long blooming, fragrant, and they are great for cutting. Miniature Roses - Miniature roses are exactly what they sound like. They have all of the fragrance and beauty of a regular rose, but they have smaller blooms. These particular roses are great for indoor planting. While note all inclusive, this article should be a great help in getting you started on the way to having your very own, gorgeous rose garden. If you're new to hair coloring, you may want to do either a temporary or semi-permanent color to start out with. A temporary hair color is a color rinse that will wash out in a shampoo or two. A semi-permanent color typically lasts for about 6 weeks or more (depending on how often you shampoo your hair). Compared to a permanent hair color which needs to grow out and requires frequent root touch-ups, these may be better choices for the newbie. Although any hair color can be corrected if needed most of the time, it takes a lot of time, trouble and money. Trying something a little less committed will give you more of an idea of what you like without damaging your hair in the process. Ok, so if you just want to cover gray, the choice is relatively easy. Just find a color that matches your own. However, if you want to do something different, there are some things you need to take into consideration. That gorgeous strawberry blonde color may be stunning on your best friend, but will do absolutely nothing for you but make you look washed out and sickly. The hair color you choose has to be compatible with your skin tone and eye color. If you have very pale, cool toned skin, an ash color with its cool undertones will probably complement you. Cool toned people normally do better with black, those crazy, vibrant colors, and very light blondes. If you have warm features, like golden brown eyes and golden brown skin, then you should stick with a warm hair color. Colors with golden and red tones normally look good on you. If you're not sure, check out your closet! You normally choose clothing in colors that compliment your coloring. If you have a lot of cool colored clothing like green, blues, and violets then you're most likely a "cool". If you have an expanse of warm colors like reds, oranges and yellows, then you're a "warm". There are some nuances you need to remember though. For instance, if your face is red from acne or other skin conditions, you don't want to choose a red color that will accentuate that. Instead, you'll want to choose a color that softens the red tones in your face. If your skin is sallow, then don't choose a haircolor with a lot of yellow to it. Compliment it instead by choosing a color with richer tones. Remember, you can always do something more subtle at first, especially if you're choosing to go with a permanent hair color. Hi-lights are a great way to add some tones and interest to your natural color. Lo-lights add some darker tones that will help show off your natural hi-lights that you already have. You can do your entire head or just specific spots to show off some of your best features. For example, you can hi-light around your face to draw attention to your eyes, or you can add some color to your crown to accentuate your haircut. 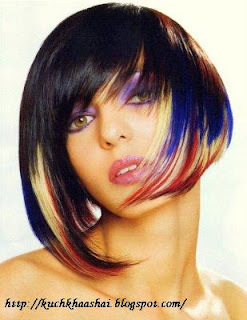 You can even just "tip" your hair with a different color to bring out the texture of a new cut. 1. A color will not lift a color. If you have colored hair already and it's dark, but you decide to go lighter, you're going to have to use bleach. The same goes if you have naturally dark hair and want to go blonde. A color will normally only lift four levels. I would highly recommend going to a colorist in this situation as bleach can be tricky. 2. Opposites on the color wheel will neutralize the opposite color. 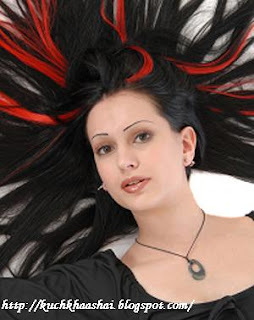 For example, if you have too much red in your hair, an ash color with green undertones will cancel out the red. 3. Take precautions before swimming with colored hair. The chlorine in a pool and the salt water in the ocean can turn your hair green. 4. Never perm after a color. The chemicals in the perming solution will lighten your hair color. 5. If you've used a henna hair color before, wait for that to grow out before you use a chemical color. Mixing the two normally does not bring about a good result. Remember, if you're not sure, choose something more subtle at first. You can gradually go more radical from there. If you're having a hard time deciding what colors would be for you, head to your nearest salon. The professional colorists there can give you many ideas of what would look good on you. Hair coloring is something that can be loads of fun, just be sure to follow these basic tips! A. 2 pkts. Snow peas, ‘Sopporo Express’, or ‘Oregon Sugar Pea II’/ Six-foot vines; train onto trellis, followed by yard-long beans. Six-foot vines with foot-long green beans. B. 2 pkts. Yard-long beans, ‘Kaohsiung’, or asparagus. Six-foot vines with foot-long green beans. C. 1 pkt. 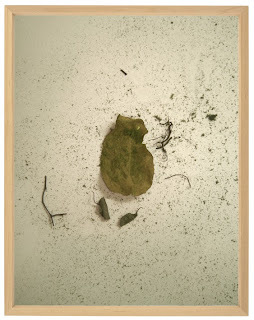 Edamame, ‘Envy’ or ‘Butterbeans’. Two-foot bushy plants for fresh shelling. D. 1 pkt. Stir-fry greens mix, a combination of mustards and bok choy. 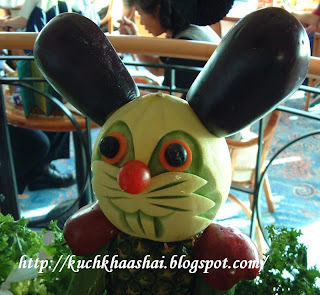 Grow quickly to cutting size of 3 inches; followed by cucumbers. E. 1 pkt. Spinach, ‘Tamina’ or ‘Tyee’. 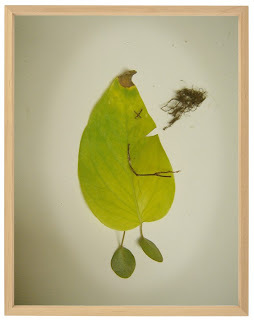 Smooth leaves grow to 1 inch; slow to bolt. F. 1 pkt. Cilantro, ‘Slow Bolt’. Grows to 2 inches; slow to flower. G. 2 Cucumber, ‘Suyo Long’ or ‘Orient Express’. Long, Japanese-type cucumbers on 6-foot vines. H. 1 Eggplant, ‘Ichiban’. Long purple fruits. I. 1 Eggplant, ‘Asian Bride’. Long, white to lavender fruits. J. 1 Pepper, ‘Thai Hot’ or ‘Thai Dragon’. Small, very hot peppers. K. 1 Pepper, ‘Jalapeno’. Stubby, hot peppers. L. 3 Basil, ‘Thai’. Green leaves with purple buds and stems; cinnamon flavor. M. 1 pkt. Bunching onions, ‘Ishi Kura’ or ‘Evergreen Long’. Use as scallions. • Do I have a suitable spot for this plan? The layout diagram shows the dimensions for the plan. In general, you can enlarge or reduce the size of the garden by adding or eliminating plants, although the character of the garden may change if you alter the size dramatically. • Do I have the right growing conditions? Check the plant list to see if the plan will do best in sun, part shade, or full shade. Be sure that the plants are suited to your Zone. 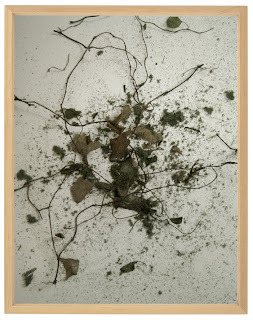 • Do I need to amend my soil? Most plants thrive in moist, but well-drained soil. If you have soil with lots of sand or clay, amend it liberally with lots of organic matter, such as compost. • Is my soil’s pH and fertility okay? If you’re unsure, inquire about testing at your county’s extension service office. Follow the recommendations that come with your test results if you need to correct the soil’s pH (how acid or alkaline the soil is) or fertility. To lay out your bed, use a garden hose to mark the outline. (Or sprinkle flour along the hose for a more temporary mark.). 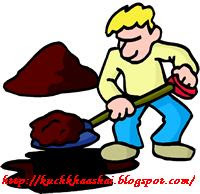 Using a sharp spade, dig along the marked line to set the edge of your bed. up and roll back the strips of sod. Once the sod is removed, loosen the underlying soil with a shovel or a power tiller. When you are satisfied with the placement, plant your garden from largest to smallest container (usually trees first, then shrubs, perennials, and finally annuals). • Tree-Planting Tips: Dig a hole that’s twice as wide as the pot or root ball but no deeper. If the tree is potted, loosen the soil slightly around the roots, then place the tree into the planting hole. For balled-and-burlapped trees, loosen the burlap after the tree is in the hole. Cut away as much of the burlap as possible. When the tree is in place and straight, fill the hole one-third with soil, tap firmly to make good contact between roots and soil, then water. Repeat twice more until the hole is filled. Water the tree thoroughly by letting a hose run slowly for 30 minutes. • Shrub-Planting Tips: Plant shrubs in a hole that’s about twice the diameter of the root ball. The top of the root ball should be slightly above the surrounding soil level. Backfill with garden soil, taping firmly to ensure a contact between soil and roots. Water immediately by slowly running a hose at the shrub’s base for about 20 minutes. • Perennial- and Annual-Planting Tips: Set these plants in soil at the same level they were growing in the pot. Firm the soil around each plant with your hands, then water thoroughly. You have two choices...smile and close this page, or mail this page to someone else to spread the fun! !